Ours is a nation in despair. U.S. suicide rates have surged to a 30-year high, and it’s not just among struggling middle-aged whites. Suicides by girls age 10 to 14 have spiked over the last 18 years. And there’s been a shocking surge in children 17 or under dying from self-inflicted gunshot wounds. Since 1999, suicide rates have risen in every age group except the elderly, according to the National Center for Health Statistics. Among women 45 to 64 it jumped an astounding 63 percent. For men that age, it was up 43 percent. In their report on rising death rates among middle-aged white Americans, Princeton economists Anne Case and Angus Deaton referred to “deaths of despair” – early deaths caused by drugs and alcohol, as well as by suicide. They cited deteriorating job prospects and a decline in stable relationships as possible factors. The rate of middle school suicide doubled between 2007 and 2014 in the United States for a variety of reasons, including the use of social media for bullying. A 15-year-old high school student is quite possibly the latest victim of a macabre online game called the “Blue Whale Challenge” after he was found hanging in his bedroom closet, his cell phone propped up to record his death. Isaiah Gonzalez’s family told San Antonio TV station WOAI that they believe Gonzalez’s death was the final task in a 50-day Internet challenge that encouraged participants – primarily teens and young adults – to complete a number of daily tasks ranging from watching horror films to self-mutilation. The challenge also allegedly requires participants to take photos of themselves posing in dangerous positions, such as on the edge of a roof or on train tracks. Isaiah’s father, Jorge Gonzalez, told WOAI that the family is certain the teen was involved with the challenge because he had sent his friends pictures of the completed tasks. “It talks about satanic stuff and stuff like that and my son was never into that,” he said. Famously impulsive teens are known for bad decisions and poor risk assessment skills — jumping down too many stairs on a skateboard, blowing off homework. But during this sometimes-tumultuous stage in life, Dr. Bruce Lovelace of St. Thomas Community Health Center says there’s something else parents should be aware of. Though it’s often hard to think about, troubled young people are at risk for suicidal thoughts and behaviors, and hospitalizations for kids thinking about suicide are on the rise. At a May Pediatric Academic Societies Meeting, a new study revealed that the percentage of children and teens hospitalized for suicidal thoughts between 2008 and 2015 had doubled since the last period studied. Centers for Disease Control (CDC) and Prevention data cites suicide as the second-leading cause of death nationally for people between the ages of 10 and 24; rates in particular are on the rise among girls ages 10-14. Apparently hidden in the creepiest corners of the internet is an “obstacle course” of 50 daily tasks that climaxes with a suggestion that the participant commit suicide on the last day of the competition. While no one seems to have found much tangible evidence of the so-called Blue Whale Challenge, two families in the U.S. — including one in San Antonio — have said this week that their teens killed themselves because of their participation. According to his father, Jorge Gonzalez, 15-year-old Isaiah was found hanging from his closet Saturday, with a cell phone propped nearby, broadcasting to social media. Promoting peer-to-peer mentoring, the school district’s Youth Leaders Program engages students and their communities, challenging them to come up with solutions to bullying, isolation and suicidal tendencies. In the years since the program’s start, the school district has seen a dramatic drop in student suicides. According to Michelle Woods, the program coordinator until she retired two years ago, nine students died by suicide in 2007. By 2009, it was five. The Blue Whale Challenge is a game that some kids in the country are being encouraged to play. The challenge targets preteens and teens. Earlier reports indicated that the challenge began by way of a YouTube video in which an anonymous instructor begins giving assignments. In total, there are 50 assignments that become increasingly more serious over time. 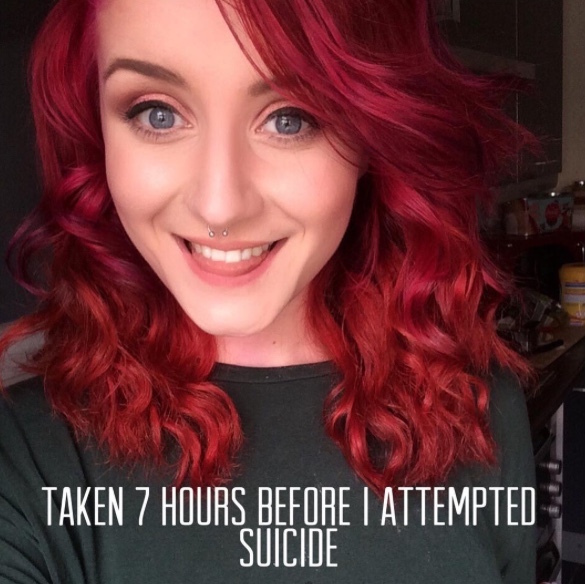 The tasks include things like self-harm and when the participant reaches the 50th task, they are told to kill themselves. “Over the course of 50 days, an anonymous administrator assigns kids self-harm tasks. The challenges may start by asking kids to watch a scary movie and then grow increasingly dangerous to include acts like cutting. On the 50th day, the participant is supposed to commit suicide. The game can reach kids through social-media channels like Instagram, SnapChat, YouTube and texting,” USA reports. Ultimately, the song delivers a message of hope — the second verse features the lyrics “You don’t gotta die, I want you to be alive,” told from the perspective of the person offering emotional support at the other end of the line. When Taylor Porco’s brother, Jordan, died by suicide during his freshman year of college in February 2011, people told her to be strong for her parents, who were incapacitated by their grief. Hardly anyone seemed to notice that Porco, only 14 at the time, was suffering and suicidal. “I was really depressed and in such extreme pain. Nothing, literally, mattered to me after he died. All I wanted was my brother back. I never loved someone as much as I loved him,” she says. Porco’s experience is hardly unique. Approximately 25,000 people each year become sibling survivors of suicide, according to the support group, Sibling Survivors of Suicide Loss. Those who lose a sibling to suicide at any age can experience anger, complicated grief reactions, depression, post-traumatic stress disorder and thoughts of taking their own lives. 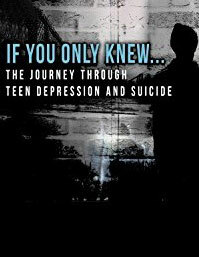 “If You Only Knew” features families who have lost children to suicide, as well as a young woman who attempted suicide several times as a teenager then later found the help she needed. The original documentary first aired on WQPT in March 2016. It was nominated for a Mid-America Emmy, and is available on iTunes, Google Play and Amazon (free with Amazon Prime). Suicide rates are higher in rural counties, according to a new study, and the reason is firearm use by men. The report, in the American Journal of Public Health, used data on 6,196 suicides of Maryland residents over age 15. They found that the rate of firearm suicides was 66 percent higher in the most thinly populated counties than in metropolitan areas with populations greater than a million. Non-firearm suicide rates in rural and urban counties were roughly the same. Rates of teen suicide continue to rise, federal health officials reported this month, with rates for girls higher than at any point in the last 40 years. A rational response would be to engage in evidence-based measures to try to reverse this course. Too often, we assume that there’s nothing we can do. Sometimes, we even make things worse. Suicide rates were even higher in the 1990s. But from 2007 to 2015 rates rose from 10.8 to 14.2 per 100,000 male teenagers and from 2.4 to 5.1 per 100,000 female teenagers. In 2011, for the first time in more than 20 years, more teenagers died from suicide than homicide. But these trends have been known for years. Our response to them hasn’t adequately acknowledged their progression. Researchers developed personalized blood tests for different subtypes of suicidality that they have newly identified and for different psychiatric high-risk groups. A research team led by scientists at the Indiana University (IU) School of Medicine say they have created a novel method for diagnosing suicide risk by developing blood tests that work in everyone as well as more personalized blood tests for different subtypes of suicidality and high-risk groups. The researchers also demonstrated how two apps—one based on a suicide-risk checklist and the other on a scale for measuring feelings of anxiety and depression—work along with the blood tests to increase the precision of tests and to propose potential lifestyle, psychotherapeutic, and other interventions. The team also noted that they were able to identify a series of medications and natural substances that could be developed for preventing suicide. We sought to investigate whether blood gene expression biomarkers for suicide (that is, a ‘liquid biopsy’ approach) can be identified that are more universal in nature, working across psychiatric diagnoses and genders, using larger cohorts than in previous studies. Such markers may reflect and/or be a proxy for the core biology of suicide. We were successful in this endeavor, using a comprehensive stepwise approach, leading to a wealth of findings,” write the investigators. One day after school in January, 8-year-old Gabriel Taye returned to his Cincinnati home and hanged himself with a necktie, his family’s attorney says. His mother, Cornelia Reynolds, found his body that afternoon in his bedroom. His family sued his school district last week, alleging that he’d been bullied and that the school didn’t inform his relatives. From 1999 through 2015, 1,309 children ages 5 to 12 committed suicide in the United States, the Centers for Disease Control and Prevention says. The memories of teenagers who died by suicide are closely guarded by those left behind. The smiles and laughter, the shared experiences, the first days at school and the last hours spent together are beacons for families of children whose lives were cut short after ongoing struggles with mental illnesses including depression, anxiety or eating disorders. There’s Heidi Bucklin, who died at 18, a competitive athlete whose seriousness on the field afterward melted into goofy grins with her friends. There’s Zayne Shomler, who died at 17. He loved little things — watching ants march back to their colony, his turtle and the tiny stuffed lamb he kept close even until his death. There’s Heather Brooker-Higgins, who died at 13. She loved to learn so much, she would spend hours studying Spanish on her school-issued tablet. These are some of the teenagers who have died by suicide in Clark County, as long ago as six years and as recently as two months. It’s a constant and apparently escalating problem. Anyone who has ever graced a public bathroom knows that after you lock the door and look around at the stall around you, chances are you are likely to encounter a vast array of graffiti. Some classics still remain as they had in generations before us: For a good time call some random number; this person loves that person forever; and another person thinks someone else is a variety of expletives. Sometimes there are quotes. The most profound bathroom quote I ever read was “Suicide doesn’t take away your pain; it just gives it to someone else.” I can say without a shadow of a doubt, this quote has saved my life. According to USA Today, there is a suicide every 13 minutes in the United States. Behind every tragic loss there is a story. As someone who has openly coped with depression disorders my entire life, this is my story. There is not a day that goes by in my life where I can say the thought isn’t there. I think with most people who have had a history with depression and suicide, they can honestly admit this. If something goes wrong, you automatically think about it. It’s not something I would act on, just a thought. If I am going to be honest about my story, I need to tell you my whole story. JoEllen Tarallo is the director of the Vermont Suicide Prevention Center. She says that suicide can be reduced if more people know how to support friends and family members. She offered some advice for anyone who is concerned that someone they know might be suicidal. That’s the title question of a new book about a suburban New Jersey teen and track star, Madison Holleran, who committed suicide in 2014 during her freshman year at the University of Pennsylvania. The real question, though, is: What made Maddy stop? Depression is a difficult problem to diagnose and treat, and there are probably many factors that led to this tragedy. But it is striking that, despite Maddy’s strong social network, as well as her success both academically and athletically, she felt a crushing pressure, one that’s becoming more and more common — for teenage girls, especially. With the help of Maddy’s family, friends and teammates, who were shocked and baffled by this tragedy, espnW columnist Kate Fagan tries to recreate the last several months of her life not only through interviews with those who knew her but also by looking through all of her text messages, emails and social media posts. Today’s teens go out less, date less, and feel more depressed and suicidal, according to Twenge’s data. There’s a strong link between the amount of time they spend looking at screens and how sad they feel. Teenagers today are more depressed, have higher rates of suicide, and hang out with friends less often than teens in earlier eras, according to one researcher, who has blamed the rise of smartphones for the problem. Jean Twenge, a psychology professor at San Diego State, wrote in The Atlantic this week that she’s noticed a number of stark behavioral changes in teens since smartphones became popular. She argued that the rates of change are the sharpest she’s seen in researching data from the 1930s onward. Teens go out a lot less with friends and on fewer dates. They are much less interested in driving. They report feeling lonely a lot more often. Rates of depression and suicide have “skyrocketed” since 2011. The more time they spend looking at screens, the more depressed they say they feel – “There’s not a single exception” among any age group, Twenge writes. Johnson was also active in sports. She played soccer and was a good student. She was outspoken in class and challenged her teachers with questions. She even received a student of the month award for standing up for a bullied peer. She worked to help support herself because she was raised by a single mother and had two siblings. Ricker and Johnson both seemed like normal, happy teenagers. No one knew they both wanted to kill themselves. Their loved ones didn’t know they were both suffering from clinical depression and anxiety. Since the beginning of 2012, there have been 33 suicides involving people between the ages of 13 and 25, according to the Ohio Department of Health’s Bureau of Vital Statistics. That includes 15 suicides in Allen County, eight in Putnam County, six in Auglaize County and four in Van Wert County. The suicide rate among girls between the ages of 15 and 19 reached an all-time high in 2015 for the 40-year period beginning in 1975, according to new data from the National Center for Health Statistics. By comparison, the 2015 suicide rate for boys in this age group was lower than in the peak years of the mid-1980s through the mid-1990s. Steve Mallen thinks the signs first started to show when his son stopped playing the piano. Edward, then 18, was a gifted musician and had long since passed his Grade 8 exams. Playing had been a passion for most of his life. But as adulthood beckoned, the boy had never been busier. He had won a place to read geography at the University of Cambridge and was revising hard for his A levels. At his school, Edward was head boy and popular among pupils and teachers. His younger brother and sister idolized him. The family announced Tuesday in Roseland, alongside with their attorney, that they’re suing the Rockaway Township school district because they say it did nothing to stop months of bullying that led to Mallory Grossman’s suicide. A community is in mourning after the apparent suicide of a Destin teenager. A family friend found 14-year-old Connor Bartlett’s body near Destin’s west jetty about 6:30 p.m. Tuesday after a search involving several law enforcement agencies. Connor, a freshman at Fort Walton Beach High School, was a Destin Middle School graduate and an outstanding high school and club team swimmer. Grief counselors were at Fort Walton Beach on Wednesday to help students deal with the loss of their classmate. Students wore blue — Connor’s favorite color — to honor him. In dealing with the young man’s death, experts on suicide prevention are speaking out to help parents and friends better understand the circumstances that can lead to suicide. In the late 18th century, a deadly outbreak plagued most of Europe and resulted in an eerie trend of suicides. The culprit: a story. It was during the German Sturm and Drang literary movement that Johann Wolfgang von Goethe wrote The Sorrows of Young Werther, a semi-autobiographical novel about a young hero who commits suicide to escape the woes induced by unrequited love. Upon its publication, a strain of “Werther Fever” surfaced; many readers suddenly dressed like Werther and wrote diaries like Werther, and several others ended their lives like Werther. This phenomenon will later be coined as the “Werther Effect” or a “suicide cluster,” which the Centers for Disease Control and Prevention defines as a chain of three or more completed suicides, often triggered by one well-publicized suicide. The Office of Public Instruction’s Teacher Learning Hub will now offer Montana teachers a program called “At-Risk: Mental Health and Suicide Prevention Role-Play Simulations”. This is being provided to the Learning Hub through the Project AWARE-MT SOARS grant funding. The project is a 12-month unlimited license contract with Kognito Interactive Programs. These courses will be available to all Montana educators, school staff, and OPI partners through the Learning Hub. “Montana is a large, rural state with some of the highest youth suicide rates in the country. It is critical that educators not only have resources to promote mental health for our students, but that they have access to these resources regardless of where they are in our state,” said Superintendent Arntzen. But it was a long road before that question led to a much bigger purpose for Macy Rae Klein. “As parents, they want to fix things. They want to kiss the wounds, they want to give Band-Aides … but with depression, you can’t just put a Band-Aid on it,” said Macy Rae, 16. Macy Rae was only in 6th grade when her depression hit and in 7th grade when she began making plans to end her life. “I couldn’t walk past things like bridges or sharp things without thinking how I could use it to end my life,” said Macy Rae. Bring THE S WORD To Your Community! Organize a local screening of THE S WORD and gather your campus, community members and colleagues to watch the film and help raise awareness for suicide prevention. Organizers across the country are hosting grassroots events and we invite you to join them. Please note, a screening license is required for all public events and packages include a Q&A with director Lisa Klein. Seven East Valley teenagers committed suicide during a six-week period earlier this summer, creating a disturbing suicide cluster and a grassroots effort to do everything possible to prevent additional deaths. The unusual suicide cluster included six boys and a girl ranging from 13 to 18 years old. Six victims hanged themselves and one death was by shooting. The deaths started on July 24 and ended on Labor Day weekend. The teens lived within 10 to 12 miles of each other. They did not know each other, but one boy knew another boy who killed himself in May. The victims – who lived in Chandler, Gilbert and Queen Creek – were described as high-achieving students with plenty of friends who might not fit the preconceived notion of a teen likely to commit suicide. An East Texas family reached past their pain to help others just two days after 16-year-old Dylan Alvarado committed suicide due to bullying. Alvarado was a student at Robert E. Lee High School in Tyler. He died Monday, Sept. 18. and is the second teen in East Texas to commit suicide in less than two weeks. Alvarado’s mother, Kelly Ellis, is a nurse, a mother and the newest member of a growing group no one wants to be a part of. Like so many nurses and mothers, she tried to be strong. Mary Kay Gleason doesn’t usually tell her students her family’s story of suicide loss so early in the school year. They’re only in seventh grade, so she wants to gauge their maturity. And with the loss so fresh, she’s struggled to keep her emotions in check. But this time, nearly three years after her daughter Kelsie took her own life at age 24, the teacher at Fischer Middle School in Aurora felt ready to speak sooner. And for good reason: The American Foundation for Suicide Prevention says suicide was the second-leading cause of death statewide last year among people ages 10-14 and 15-34. “That’s you guys,” school psychologist Jake Rebus told students. Gender stereotypes put girls as young as 10 at risk of HIV/AIDS and depression, and lead boys to abuse drugs and commit suicide, a major study across 15 countries said on Wednesday. Children around the world – in liberal and conservative cultures – internalize damaging beliefs that boys are aggressive troublemakers, while vulnerable girls need protection, at a much younger age than previously thought, the research found. “Before this study, there was a general belief that at 10 or 11 years of age, (adolescents) were not clued into any issues around gender norms and values,” Robert Blum, director of the Johns Hopkins Urban Health Institute, said. “Young adolescents do not live in the world of childhood… they live in a transitional era where they’re acutely aware of what’s going on,” he told the Thomson Reuters Foundation. School’s back in session, and parents ushering kids to college for the first time will undoubtedly deliver some emotional nuggets of advice. But they should also have a potentially life-saving talk with their kids in the first semester of college to avert a possible tragedy — suicide. In my experience as a child and adolescent psychiatrist, parents can be naïve about both the academic and social pressures kids face in college. While we’re confident that our children will flourish and excel, it’s also important to equip them with information on the mental health challenges some college students encounter. Per the American College Health Association, one-third of college-aged students report being depressed to the point of being unable to function. In his book, “College of the Overwhelmed,” Harvard psychiatrist Richard Kadison says that 1 in 10 students will seriously consider suicide. New data confirm that suicide attempts among U.S. adults are on the rise, with a disproportional effect on younger, socioeconomically disadvantaged adults with a history of mental disorders. The study, by researchers at Columbia University Medical Center (CUMC) and New York State Psychiatric Institute (NYSPI), was published today in JAMA Psychiatry. “Attempted suicide is the strongest risk factor for suicide, so it’s important that clinicians know just who faces the highest risk so that we can do a better job of preventing suicides from happening,” said Mark Olfson, MD, MPH, professor of psychiatry and epidemiology at CUMC and lead author of the study. The last dinner Wendy Dolin had with her husband, Stewart, he was so agitated that he was jiggling his leg under the table and could barely sit still. He had recently started a new antidepressant but still felt very anxious. “I don’t get it, Wen,” he said. The next day, Mr. Dolin, a 57-year-old Chicago lawyer, paced up and down a train platform for several minutes and then threw himself in front of an oncoming train. Children committing suicide is the last thing any of us wants to think about. But we must, for what has been called a silent epidemic is real. Every day, on average, thousands of young people try to kill themselves. Suicide is the second-leading cause of death among 10-to-24-year-olds, according to the Centers for Disease Control and Prevention. More teenagers and young adults die from suicide than from cancer, heart disease, AIDS, birth defects, stroke, pneumonia, influenza and chronic lung disease combined. There are indications that the problem is getting worse. The number of children aged 5 to 17 who were admitted to children’s hospitals because of thoughts of suicide or self-harm more than doubled between 2008 and 2015, according to research presented at the Pediatric Academic Societies meeting in San Francisco in May. Every year in Orange County alone, about 700 youth aged 10 to 19 years old require medical treatment because of self-inflicted injuries. It’s estimated that 2% die from the injuries. Looking away and doing nothing is not an option. Going back to school is extremely tough for a lot of Japanese students, and this can be clearly seen in the country’s suicide statistics.